The Kazakh culture is very rich and diverse. 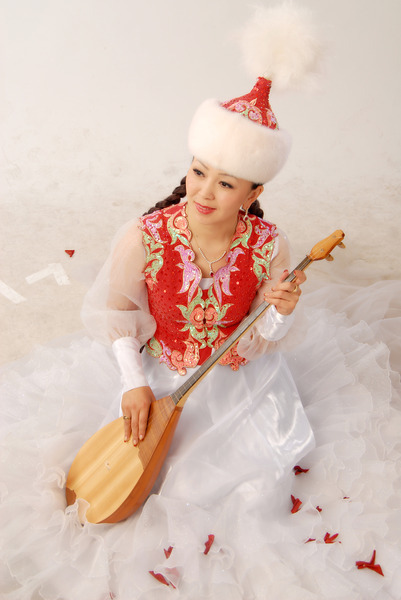 During the formation of the Kazakh nation specific musical traditions appeared. As a result the rich musical culture was determined. The rituals connected to the child’s birth, weddings, funeral repast, usually were accompanied by singing. The favourite performance of the people became aytys of akyns. Folk music was based mostly on diatonic major and minor rhythms of seven tones. Dance culture of the Kazakh people has been known since ancient times. The dances comprehensively reveal the life of the Kazakh people, his love for art. In the musical folklore the performance of songs, dances, songs accompanied by dances on the stage preserved. The holidays on the occasion of the end of labor year, and it starts are widely spread. On festivals, weddings the performers took part in the competitions and demonstrated to the audience their dancing skills. 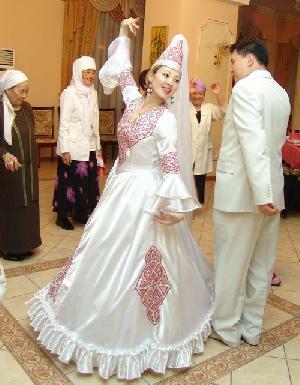 Pair dances of girls and men (Koyan-Burkit) are popular among the Kazakhs. Such dances are rarely found in other eastern nations. From ancient times the Kazakhs lived in the yurts. Yurta is adaptated to the nomadic life, it is very useful dwelling while moving and it satisfies the requirements of the nomadic way of life: it is mobile, easy pulled down and fast set on a new place. 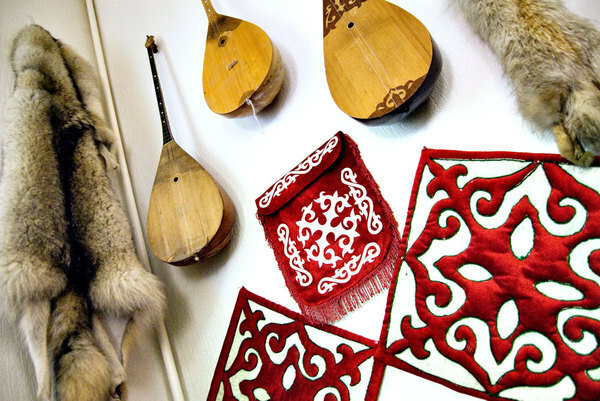 It can be regarded to the large achievement of the material culture of the Kazakh people. Today yurts are set on summer pastures, and during the festivals in the cities. Yurta is the connection between past and present. The national outerwear of the Kazakhs is different depending on the region. Men wear chapans (it is men’s clothes resembling the robe with a belt, made from velvet and decorated with the embroidery), and also soft tyubeteikas, high felt caps or hunting earflapped hats of the fox fur (malakai). Women’s national suit consists of white cotton or colour silk dress and the embroidered velvet waistcoat, hat or silk headscarf. Old married women cover their heads with kimeshek (white cloak) and leave the face open. Brides put on high, pointed, richly decorated hat – saukele, with the bunch of feathers on the crown. Nauryz (New Year) is the most important holiday among the Kazakh festivals. It is celebrated on 22 of March - day of vernal equinox. On this day, the streets of cities and villages look different. The guests are met in the holiday yurts and treated with the ritual dish "Nauryz koje" cooked from seven traditional ingredients. Games and festivals always had a great public importance. Their appearance belongs to ancient times. In their development they passed a number of the successive forms, aligned with the public relations and business activities of the people. Games and entertainment always performed the social functions, such as educational, military and sport, ritual, spectacular and aesthetic, communicative and others. Military and sport games performed the wide and universal function. The games were connected to military way of life (wars, invasions, armed conflicts) and business activities of the people. 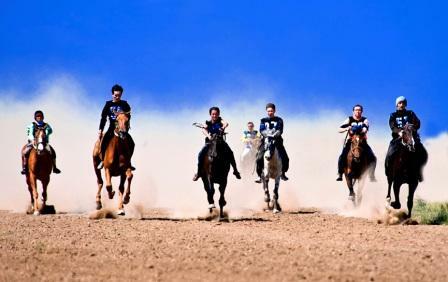 The games were saiys, audyryspak, jamby atu, altyn kabak, horse races, kures and others. The part of the games and entertainment carried the ritual and ceremonial functions, included to the system of funeral and sepulchral rites, as well as marriage. Many of them lost their first essence, they developed and degenerated. The examples are alaman bayga and kokpar.